Multi-award winning Monterey2 is a full-featured, expandable high-back booster seat designed to fit a growing child up to 160cm and 36kg. 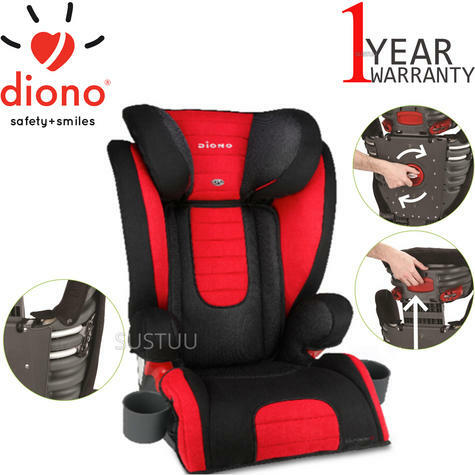 The adjustable head rest and deep, aluminum reinforced sides are lined with energy absorbing EPS foam for side impact protection and the reinforced seat bottom provides extra lap belt safety. This significantly strengthens the Monterey2 and provides superior defence against crash forces. 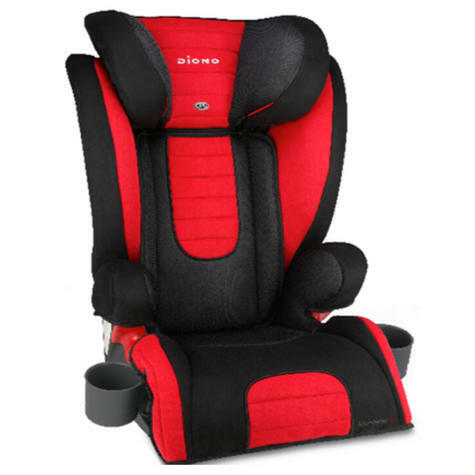 A simple-to-use dial on the back adjusts the width of the seat to fit a child’s shoulders up to 50 cm wide. The 11-position headrest gives ultimate flexibility and adjusts up to 16.5 cm in height with one hand for an easy, precise fit. As a fixed-position booster, integrated ISOFAST connectors and front adjusters allow for a safe and secure installation in seconds (ISOFAST use is optional). The seat bottom has extra length for leg support and features thick AirTek™ foam and tapered sides for total comfort. Retractable, dual cup holders are extra-deep and angled to keep drinks upright. Monterey2 really is the complete confidence booster. Side impact protection with aluminum reinforced sidewallsand a full lining of energy absorbing EPS foam. Easy and secure ISOFAST attachment to the vehicle even whennot occupied. AirTek™ foam provides superior cushioning andincreased airflow for a comfortable ride. Angled and reinforced seat bottom prevents submarining.